Need a Speaker For Your Club's Winter Meetings? If your yacht club or maritime organization is looking for guest speakers for its monthly meetings in 2019, the Chesapeake Area Professional Captains Association (CAPCA) has a suggestion: Ask one of our Coast Guard–licensed captains. 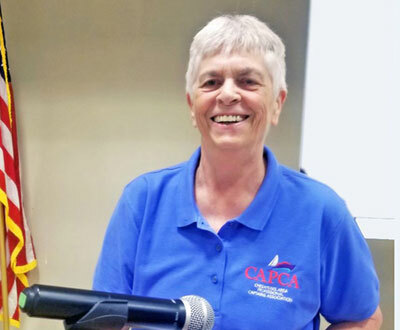 CAPCA maintains a Speakers Bureau that provides experienced, licensed captains who can speak on a wide variety of boating topics, from basic boat handling, safety, and first aid to maintenance problems or navigating the Atlantic Intra-Coastal Waterway. 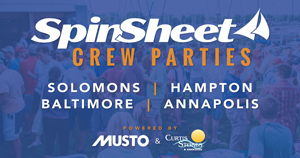 Our members have a wealth of experience—both on the water and in classrooms. And it’s free. CAPCA provides this as a service to the maritime public. There’s no speaking fee or charge. For a fuller look at the program, and a partial list of topics, visit the CAPCA website and click on the About Us tab at the top. Then click on Speakers Bureau in the side-menu. If you don’t see a subject that interests you, tell us what you need, and we’ll take it from there. Or e-mail us. If your club members are looking for a way to improve their boating skills this winter, CAPCA offers an array of continuing education classes. Although some of the courses are restricted to CAPCA members only, two (The Role of Electronics in Marine Navigation and the American Heart Association’s First Aid/CPR/AED course) are open to the public as well. Details on class times and prices will be posted at capca.net, where you may also register online. Click on Classes in the menu at the top of the homepage. All classes will be held on Saturday or Sunday at the Annapolis Elks Club in Edgewater, MD. Each class runs for one day, starting at about 8 a.m. For more information, contact Captain Pete Chambliss, continuing education director.